Meet Dr. Jason Wenderoth BSc, MB BS (Hons I), FRANZCR, CCINR. Dr Jason Wenderoth undertook fellowship training in interventional neuroradiology at Royal Perth Hospital and Radcliffe Infirmary, Oxford. 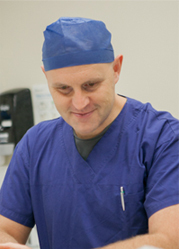 He established the neurointerventional services at Prince of Wales/Sydney Children’s Hospital and Liverpool Hospital in 2005 and Prince of Wales Private Hospital in 2010. 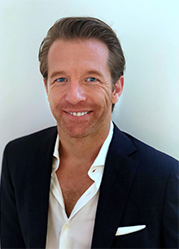 Having treated over 1000 aneurysms, and performed over 2000 major procedures, Dr Wenderoth is one of the most experienced practitioners in the field of interventional neuroradiology worldwide. His advice and expertise is regularly sought by colleagues both in Australia and internationally. Meet Dr. Andrew Cheung BSc (Med), MBBS (Hons 1), FRANZCR, CCINR. 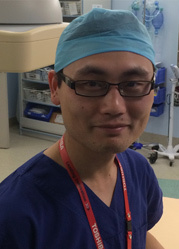 Dr Andrew Cheung is an Australian fellowship trained interventional neuroradiologist. He was raised in Sydney, and is fluent in English and Cantonese. He undertook sub-specialty fellowship training at Royal Perth Hospital and Sir Charles Gairdner Hospital, WA. Currently, he is a Visiting Medical Officer at Liverpool Hospital, Prince of Wales Hospital, Prince of Wales Private Hospital and Macquarie University Hospital. Dr Cheung is certified to practice Interventional Neuroradiology by the CCINR. Meet Dr. Nathan W. Manning BApSci, BSci (Hons), MBBS, FRANZCR, CCINR. York. Dr Manning returned to Australia joining SNIS in July 2017.